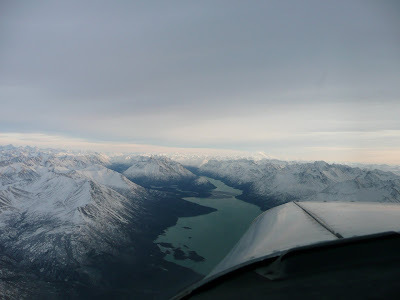 Here are a couple of videos I took while flying through Lake Clark Pass on December 29th, 2009. From Dillingham to Anchorage took 4.1 hours because of a head wind. I climbed to 8,500 feet as I entered the pass but the wind was way too strong so I dropped down to 4,500. Fly safe out there and Happy New Year! Merry Christmas from everyone at Saint Theresa in King Salmon/Naknek. 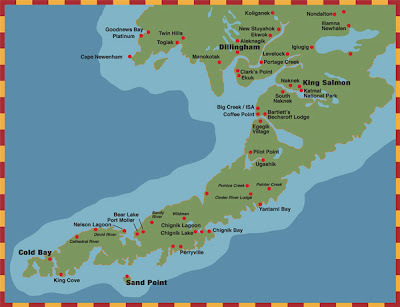 Saint Theresa is located six miles west of King Salmon and six miles East of Naknek. 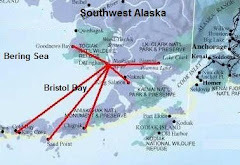 The two villages are 65 airmiles southwest of Dillingham and have a total year around population of about 1000 people. We celebrated Mass at Saint Theresa December 24th at 4:00 P.M. Saint Theresa is a Mission church of Holy Rosary. Barbara (BJ) Hill, the administrator for Saint Theresa, got together a crew and decorated the inside and outside of Saint Theresa right after the 4th Sunday of Advent. A reception was held in the basement of the church after the Christmas Mass. Here are a picture of Saint Theresa a few hours before the Christmas Eve Mass began. After Mass, the parishioners stand around and chat for a while before going downstairs for the potluck or heading home to open presents. Saint Theresa Parishioners begin to gather in the basement of the church for the celebration after the Christmas Eve Mass. Parishioners made up special hors d'oeuvres for the occasion. We finally had some good weather in Bristol Bay. 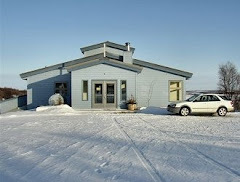 I flew our Cherokee Warrior II to Ugashik for an Albecker family reunion Christmas Mass on December 22, 2009. Here are some pictures. 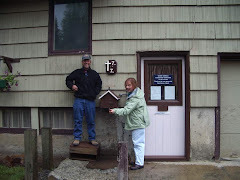 Hattie and a hunter met me after I landed and took me up to the office where we were going to set up for Mass. This is an Alaskan Bush Christmas tree! Setting up for Mass on a Ping Pong table was a first for me. People from the small villiage of nine people start to trickle in. Plus, all of Hattie's family flew in to Ugashik for Christmas. They came from all over the United States. Hattie sings a solo for our gathering congregation. A final picture with the entire congregation at Ugashik. 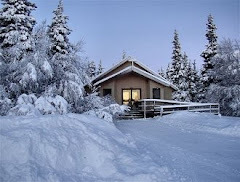 Merry Christmas from Ugashik, Alaska. Merry Christmas from Holy Rosary Mission! 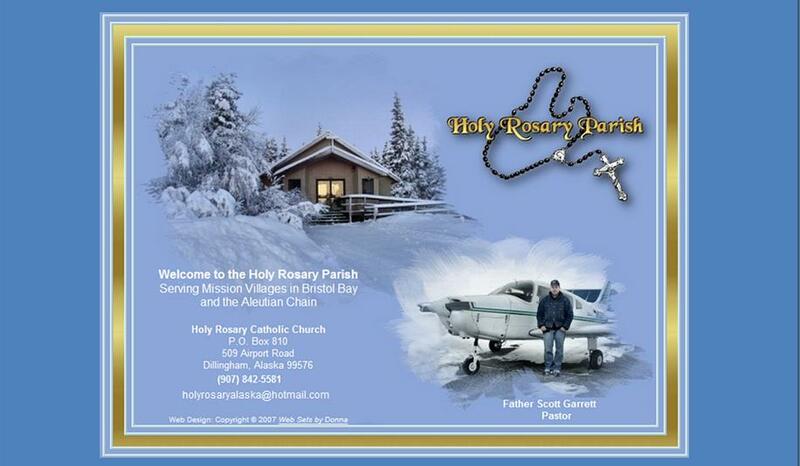 For more information about Christmas Mass services please click on "Current Announcements Holy Rosary" on the right. 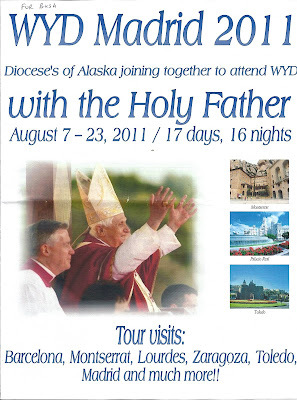 Holy Rosary Mission is gearing up for World Youth Day in August of 2011. Youth from all around Bristol Bay are already getting excited. 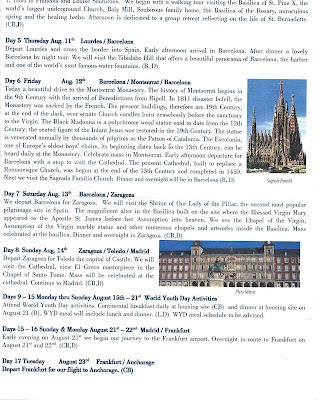 A trip to Madrid Spain is fantastic, but to be able to see the Pope as well, and meet thousands of other youth, well, one can understand all the eagerness. Youth from Holy Rosary in Dillingham and Saint Theresa in King Salmon/Naknek have already been discussing the financial aspects of the trip with their parents. 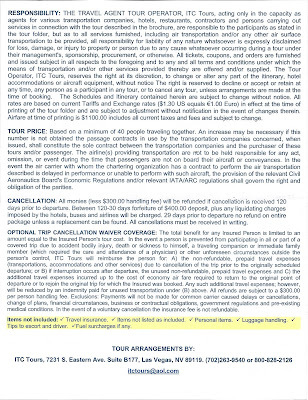 The cost per person will be about $4,500 for 17 days of travel, hotel, food, and fun. Mothers and fathers have been talking about fund raisers and PFD’s to help fund the adventure for their young adults. Many of the parents want to go themselves. Youth have to be at least 15 years of age (I am not positive on this, it may be 16) to go unaccompanied by their parents. Younger youth may go if accompanied by their parents. People older than 18 are all welcome to sign up and go along with the group. To sum up, everyone can go if they want. Only youth 14 or younger must be accompanied by a parent or guardian. 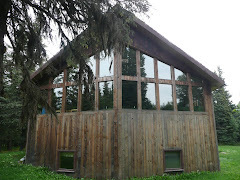 The idea is to bring youth from around Holy Rosary Mission, which includes villages as far west as Togiak, as far north as Illiamna, as far east as King Salmon, and as far south as Dutch Harbor to come together and plan this pilgrimage together. This pilgrimage to see the Pope will spark interest in Church, increase faith, and hopefully increase love for our Catholic tradition. This will be the first attempt at getting Holy Rosary Mission youth together for World Youth Day. 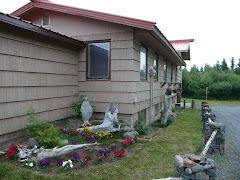 The way the organizing works is that applications with a $500 deposit get filled out by the youth and sent to Holy Cross Parish in Anchorage. 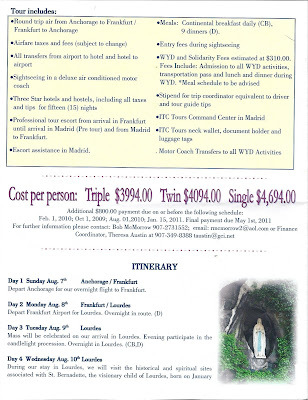 Holy Cross sends off the pertinent information to the travel agencies and finds adult chaperones to travel with the youth from Alaska to Spain and back. Below is the information. I can email you an application if you are interested. Please CLICK ON THE PICTURES TO MAKE LARGER. 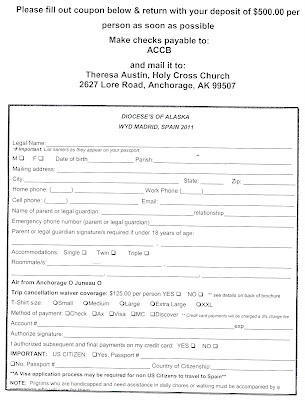 Here is the application that needs to be filled out and sent to Holy Cross in Anchorage with a $500 depostit. You will have to contact me to get this application. I can email you one. Sometimes when flying to remote Alaskan villages in the winter, or any time for that matter, communication gets a bit messed up. That is what happened Monday, December 14, 2009. There was a breakdown in communication. On my way to Clarks Point to give the Sacrament of the Eucharist to the elder of the village, Louise Gardiner, we basically crossed paths in the air. Louise was coming northwest to Dillingham on VanAir (locally owned air carrier) for a check-up at the Kanakanak hospital. At about the same time, I was flying southeast going to Clarks Point to give her Communion. Bad weather the previous week (severe wind, mist, and fog) had caused Louise to cancel her original appointment and make it for the day I was suppose to bring her communion. In fact, I had canceled twice going to Clarks Point the previous week. So, one can understand how communication can get a little messed up. Clarks Point is located 12 miles southeast of Dillingham and has a population of about 50 Yupik Native Alaskans. The Yupik are one of seven Alaskan Native tribes. There is a large amount of work to get our Cherokee Warrior II in the air in sub-zero weather. Preparation includes pre-heating the engine and cockpit, removing wing covers and horizontal stab covers, shoveling snow, and the usual preflight inspection. Hopefully nothing breaks while brushing off snow and attaching the GPS. Since I was already airborne, and the weather was, well marginal, which is better than IFR, I decided to "stay airborne" and fly around for an hour or two. 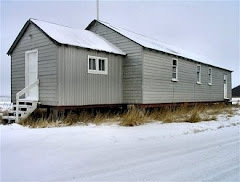 I called FAA Flight Service Station in Dillingham on my radio (122.3) and filed another flight plan to Manokotak, a village about 10 miles to the West of Clarks Point. 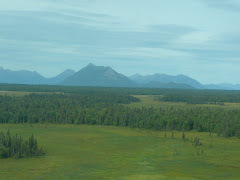 From Dillingham, Manokotak is located about 14 miles to the southwest. 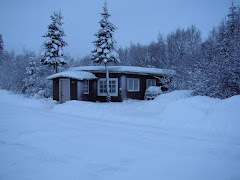 The population of the village, mostly Yupik Native Alaskans, is about 400. 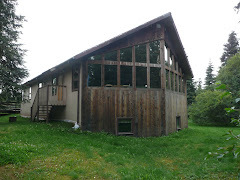 Learn more about the village by using the following website: http://en.wikipedia.org/wiki/Manokotak,_Alaska. Manokotak recently built a new airport. It is located northeast of the village about five miles. It is basically out in the middle of the tundra, making it easier to find in bad weather, much safer, and more accessible. The old runway was nestled at the base of some very large mountains. To me, a pilot with only 500 hours finds small snowy gravel runways, hidden between huge mountains, with low visibility, strong winds, mist, and 500 foot ceilings, well, too challenging. So, the new runway makes my decision to fly to Manokotak, when I need to, much easier. Here are some pictures of the new runway. I took the pictures while landing on runway three so these pictures are looking north and northwest. Here is a picture of the old Manokotak runway looking toward the southwest. It was close to the village of Manokotak, but a little tricky to find in bad weather. Have a wonderful Advent and Christmas and fly safe out there. Every year I plan a children’s Christmas homily. I have two sources. 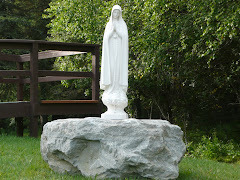 My favorite, “Homilies Kids Can See,” by Msgr. 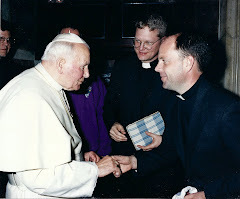 Dermot R. Brennan, 2002 and “Children’s Sermons A to Z,” by Brett Blair and Tim Carpenter, 2000. Books on children’s homilies are very hard to find. The two mentioned may be the only ones in existence. If you know of any more, please let me know. This year I will be using the last Christmas homily in Msgr. Brennan’s book. In the past I have used “The Jesse Tree,” "A Christmas Homily in Pictures (signs and Symbols),” "A Christmas Show and Tell,” "The Reason for the Season,” and "Don’t Ask How it Works (some Christmas magic).” The only one I have not done is the “Christmas Jigsaw Puzzle,” which takes the most time to create. So, this year I tackled it. First, I asked confirmation candidates to help cut out the pieces and glue them together. I started a month early so I would not be rushed around Christmas time. 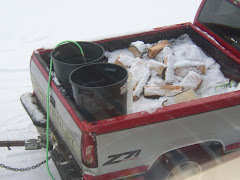 I did about half the work myself. Cut the nativity poster up into 15-20 pieces. Be sure at least one contains the entire infant Jesus. Place the cut up nativity pieces on the foam board. Trace with pencil. Cut out each puzzle piece. Glue nativity poster piece onto the corresponding cut out piece of foam. Number each piece of foam (in the order you want to put them up, I am doing the border first then saving the pieces like Mary, Joseph, and Jesus until last). Then put Velcro dots on the backs of each puzzle piece. Before mass begins hand out the last 5 or so pieces of the numbered puzzles to children or call them up during the homily and hand out the pieces then. Pieces 1-12 in my puzzle are all the border pieces so I plan to have a Christmas angel or altar server put those pieces up first. I am going to be creative here. Since it is my first time doing it I really don’t know what I am going to do yet. Talk about the toys children get for Christmas. For example, one of the all time favorite toys is a puzzle. What kind of puzzle is this? Most children will see the Velcro dots and say “connect the dots. Then might be a good time to introduce the volunteer Christmas angel or altar server who will be putting up the border of the puzzle. The last piece will be the infant Jesus. Put that in and then briefly review the entire story. After Mass, process out with the picture held high. So, I do not know how this will work. 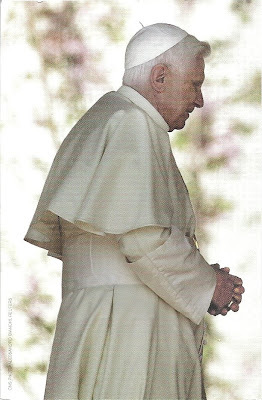 The other children’s homilies from the book by Msgr. Brennan, in my opinion, were a great success. The simple show and tell was received well, even by the adults. So, my goal for this Christmas is, keep it simple and have some fun.